There is less then 300 days until the Rio Olympics get under way and the Aussie Stingers and I are hitting new heights (literally). 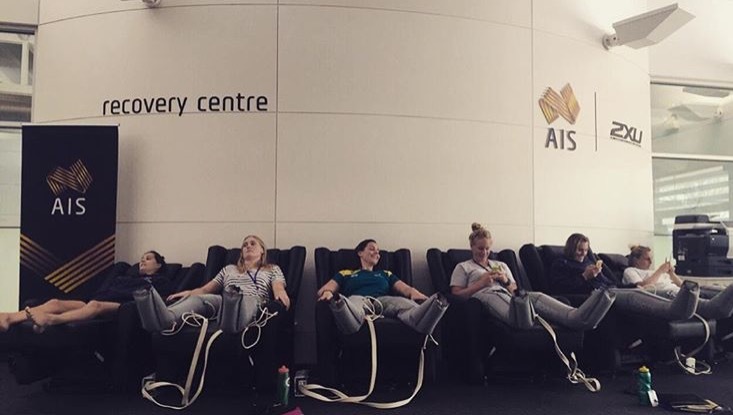 After a quick week at home we travelled to the Australian Institute of Sport in Canberra for our second Olympic Camp. Here we have 12 out of 19 girls staying in the Altitude House, which is set to simulate living at 2,500m above sea level. Who would have thought that at 29 years of age I would be sleeping in a bunk bed in a windowless room for a minimum of 14 hours a day… What kind of hell is this? The low oxygen environment makes climbing the single flight of stairs to the apartment feel like a 2-hour fitness session. To say that these 3 weeks are going to be tough is a massive understatement. We have 19 girls vying for only 13 positions and things are getting interesting. The first week of camp had us run though our paces with swim and strength testing. This definitely made for a hard first week. Camps based in Canberra have some great advantages, such as we have the ability to train at the times we want (no 5am starts! ), we have access to the recovery centre (ice baths, massage chairs and moon boots galore), plus all our support staff are on site, doctors, nutritionists, physiotherapists, massage therapists, physiologists and psychologists are all easily accessed to help ensure that both our bodies and minds remain in tiptop shape and are prepared to embark into one of the hardest and most challenging training period of our Olympic preparation. The second half of this camp we will be hosting the Japanese team for some training games. While it’s all well and good to train against each other it is nothing compared to training against another team. Having opposition to train against allows us to work on any and all combinations within the team. This will give all athletes the opportunity to make some important steps into cementing their position in the team. Consistency will be a key attribute needed over the next 10 months as the girls will be fighting for a place in the team every day and at every session.